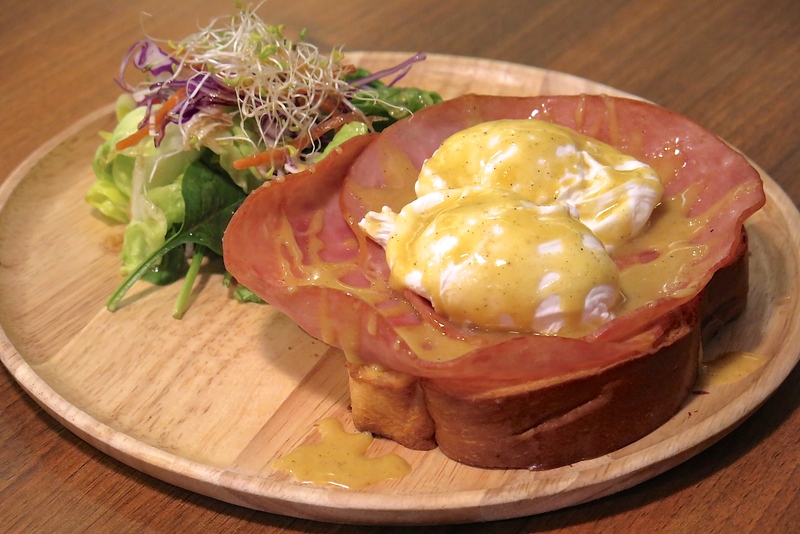 Most famous for its signature “Durian Can Boleh” a durian creme brulee dessert, The Quarters has a fun and casual menu of Singaporean-inspired dishes for breakfast and lunch as well as dinner. 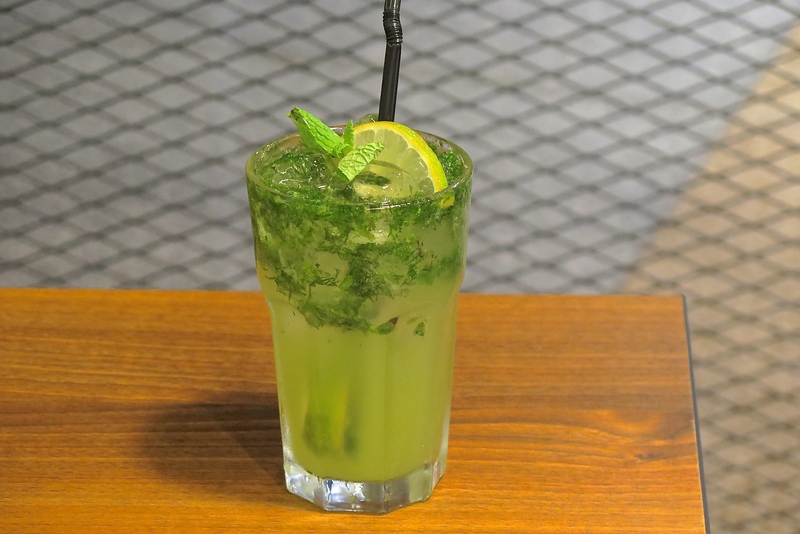 Taking inspiration from the vibrant cultures and history of Singapore, this quaint bistro-cafe in Tanjong Pagar dishes out experimental flavours that are infused with a distinct Singaporean flavour. Start with tantalising appetizers like the Salted Egg Fries ($9) crispy shoestring fries with homemade salted egg aioli, Har Cheong Gai ($9.50) featuring chunky prawn paste fried chicken with homemade power belachan sauce or the Umami Bai ($10.80) that is basically Braised Pulled Pork Sliders finished with a concoction of Chinese wine, dark soy sauce and aromatic spices. 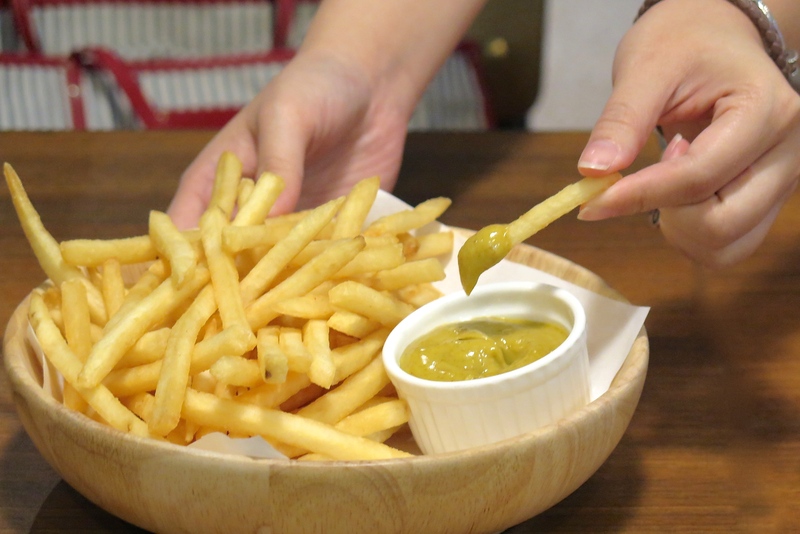 For those who enjoyed the special sauces (Power Belachan / Salted Egg Aioli) very much, you can actually bring home a bottle or as a gift for $12 and $14 respectively. The selection of mains at The Quarters is heavily inspired by local flavours and specially sourced ingredients in Singapore. 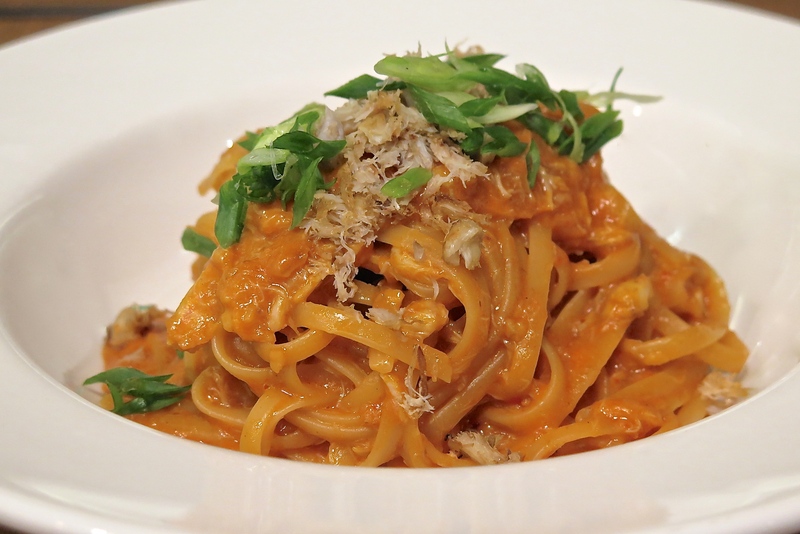 Named after the group of women who worked as domestic helpers in the early 1930s, Ma Jie’s Indulgence ($18.00) is The Quarter‘s own take on the iconic Chili Crab pasta, using fresh crab meat tossed in a spicy sauce concocted by the chef. For heartier mains, try The Last Samurai ($20) ribeye steak with signature Teriyaki sauce, roasted potatoes, salad and sunny side up; while the seafood lovers can indulge in the crisp lemongrass and ginger flower barramundi (The Great Escape $18.80) or the light battered leatherjacket (Raffles Gaga $16.80) served with the mesmerising Curry Lime Tartar. One of my favourite dishes at The Quarters is definitely the signature Satay Burger ($17), Singapore’s one and only speciality burger created with familiar flavours from the well-loved satay dish. 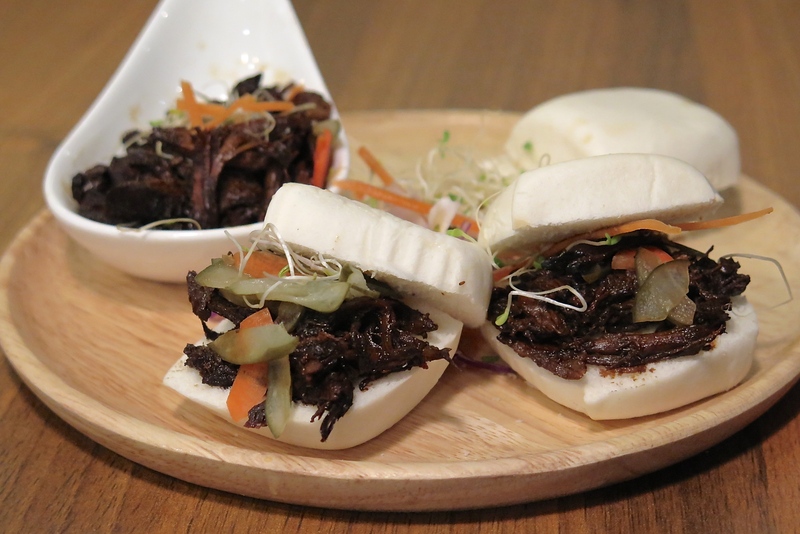 The burger bun was made with two types of rice grains cooked and then grilled to achieve that crisp exterior and chewy, buoyant bite. 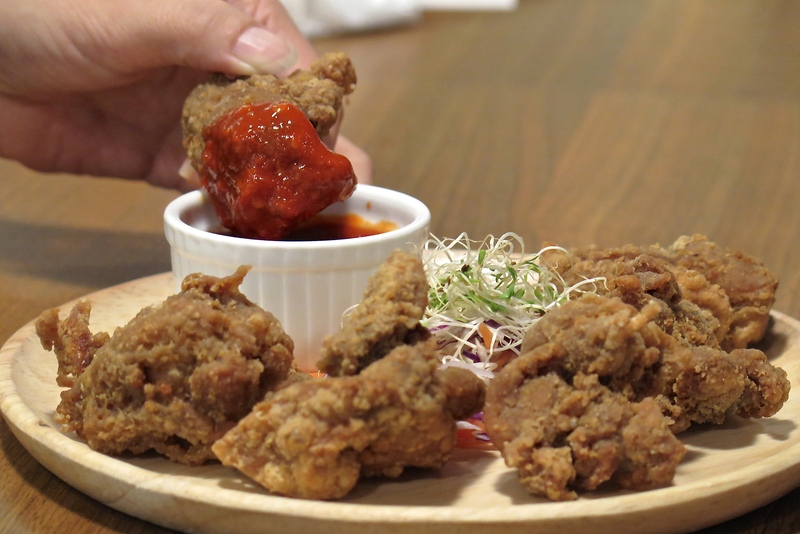 The spiced chicken thigh was marinated with their house recipe and ingredients for over 24 hours and accompanied with a special peanut sauce that one should pour over the burger to enjoy. To cater to the needs of the Brunch lovers, a limited menu of all-day breakfast such as the Full House ($16) consisting sausages, grilled tomato, potato, mushrooms, salad and choice of eggs; Uncle Ben ($14) poached eggs on ham and brioche with special Quarterdaise sauce; and Uncle John ($12.80) a spiced chicken French toast will be available on the weekends. 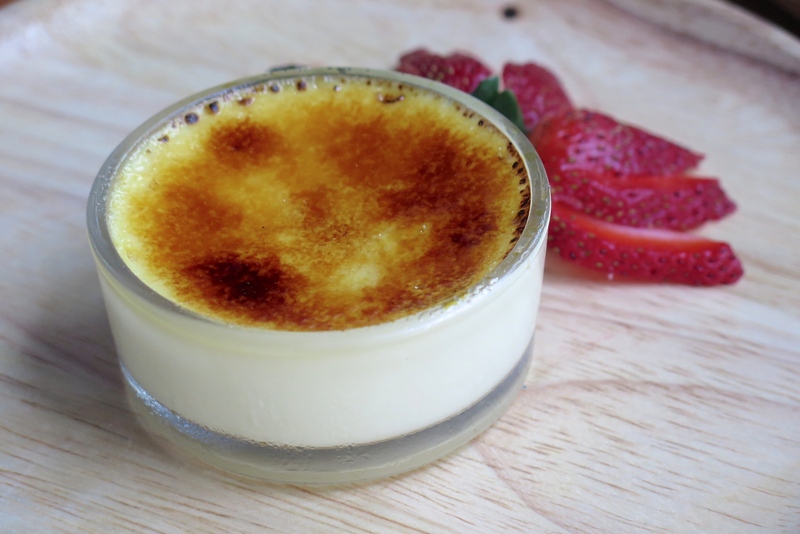 It’s no surprise that for desserts, The Quarters is doing special locally inspired flavours like Durian Creme Brulee and Pandan Ice Cream Affogato. 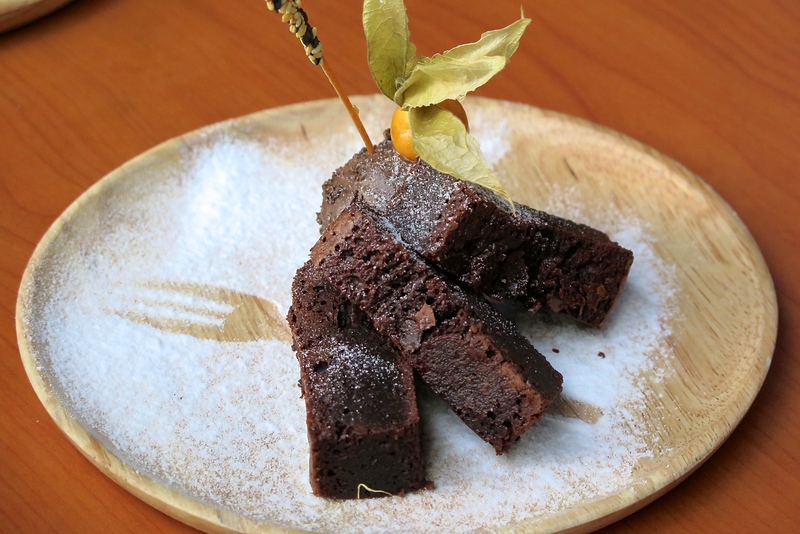 Even the Bibik’s Brownie ($10.80) is made in house with decadent nutty chocolate and paired with Buah Keluak (Pangium edule) ice cream, a native fruit that is commonly used in Malay, Indonesian and Peranakan cooking. 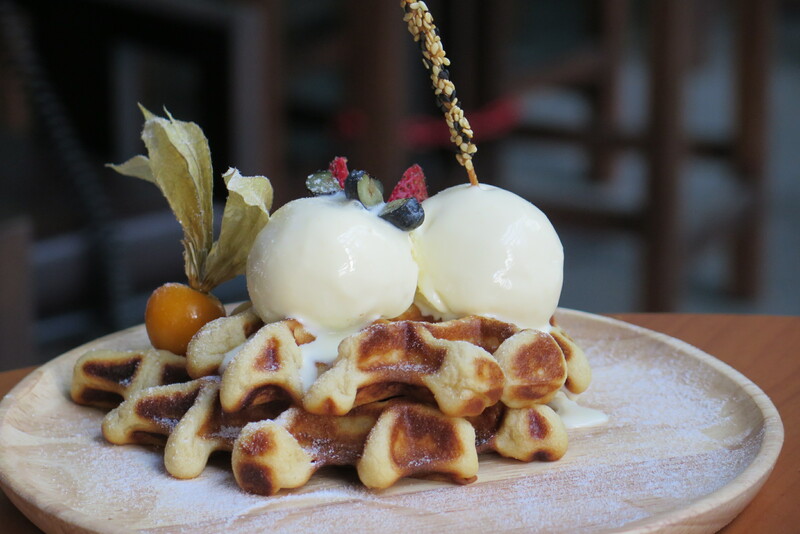 The Wonderffle ($12.80) waffle is served with lemongrass pandan ice cream and drizzled with gula melaka for the extra sweet satisfaction. The ultimate durian indulgence would be the Italian creme brulee dessert made from premium Mao Shan Wang durian, and delightfully named as Durian Can Boleh ($8.50). The very Singaporean-European dessert has a wonderful texture of smoothness and creaminess with a distinctive taste of durian, yet not being overpowering (durian fans wouldn’t mind it stronger actually). 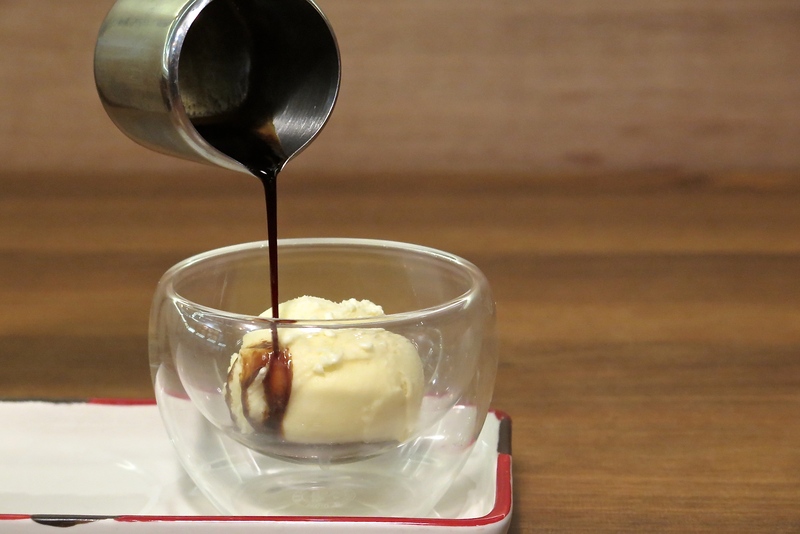 For coffee dessert, the Affogato ($8.50) at The Quarters takes a little twist with vanilla ice cream replaced by Pandan ice cream. The Quarters has been experimenting with Singaporean flavours, representing local favourite dishes in a new direction which were all pleasantly executed. Each dish has a story to tell; be it about Singapore’s culture and history; or about how it was represented. 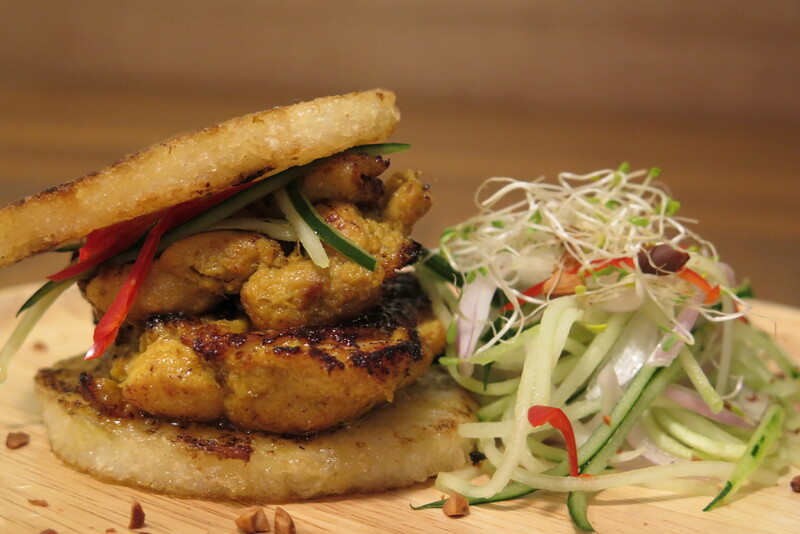 Head down to The Quarters one day to find out more and have a taste of Singapore.